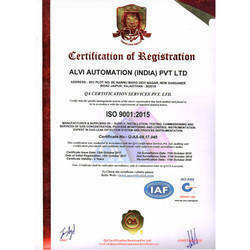 ALVI Automation India Pvt Ltd is in operation since 2016. The company also operates under GasAlarm Systems. We are a group of experienced engineers, offering gas detection monitoring and control systems, process instrumentation, measurement & control products and automation solutions. We have been involved in several automation industries in the Australasian region including now in India. 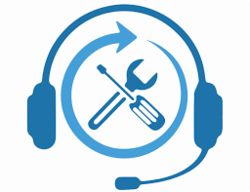 Our mission is to grow consistently using the best global technologies in products and services offered to customers. Our aim is to best serve and maintain long term relationships by providing most cost effective appropriate solutions. We are committed towards customer satisfaction through quality products. Our vast clientele proves the same. AAIPL derives competitive advantage from its excellent track record, product strategy, and the expertise of its team. The team is a group of more than 15 young dynamic energetic extremely talented industry professionals, who are qualified, trained, motivated and experienced enough to serve our customers well. ALVI Automation (India) Pvt Ltd /Gas Alarm in association with ALVI Technologies Australia is a proud partner and sole representative for MSR Electronic, JOLA, Frakta/Joventa, and other Germany range products for Indian subcontinent region. For more than 20 years MSR Electronic develops technologies protecting human life. The company with its headquarter in the Bavarian town of Pocking has 55+ employees and cooperates with partners on four continents. Perfectly coordinated sensors, controllers and warning devices can be combined in many ways into monitoring and warning systems and so offer optimum protection for life and health in closed areas in critical situations. Individually configurable and flexibly integrable solutions by MSR Electronic are employed all over the world in a variety of applications: In the REWE-Markt supermarket as well as in the Ritz Charlton Hotel, at the bus maintenance and storage area as well as in the Brenner Tunnel, in Abu Dhabi as well as in Amsterdam. MSR Electronic offer gas monitoring, automation and warning systems for online, continuous as well as portable usage application for almost all gases, toxic, inflammable, combustible and inert gasses including oxygen, SF6, CO, CO2, SO2, SiH4, H2S, NOx, benzene, toluene, hexane, hydrogen, VOC, ammonia, ethylene etc. MSR offers gas detector, gas sensor transmitter, gas sampling systems, gas analyzers, portable gas detection system, gas transducer, gas controllers for analog and digital system. MSR also offers products for safe as well as hazardous zone application for zone 1, zone 2a, and zone 2b. MSR products are certified by international agencies and carry certification for CE, VDI 2053, ATEX, SIL2, IEX-Ex RoHS etc accordingly. MSR / Germany gas sensors for H2, LPG, hydrocarbons, LEL sensors, methane, hydrocarbons, propane, butane, LNG, CNG, Acetylene, ethylene, Diesel fumes, CO2, VOC, SO2, H2S, HCN, HCl, NO, NO2, Temperature, Humidity. Jola Germany range of Liquid spill, liquid level, temperature Instruments. FISCHER / Germany range of Pressure, differential pressure, level, flow monitoring for air and liquid Aggressive media). Joventa / Frakta Germany range of Electric damper actuators. Greisinger / Germany range of Liquid , Gas measurement. PLC, SCADA, Building Automation, Factory, Industrial Automation, Instrumentation, System Integration and Control Panels. CO car park monitoring and ventilation fan control systems for Energy saving, Green House gas saving meeting LEED / USA, VDI Germany and BCA Australia (save 60-80% energy cost and protect from GWP). We take pride in offering product support, application engineering support, service and calibration support and solution provider for all your measurementation, instrumentation, automation, control system needs. For pollution and emission monitoring needs to meet pollution control board, EPA requirements, please contact us, we may be able to help you in getting most cost-effective solutions. Training to customers, clients for effective use and operation of delivered system, we take pride in this too. Our offered products are inspected on diverse parameters by a quality examiner, using latest testing techniques. Our whole range of fountains is highly demanded and accepted by our customers due to their superior features such as longer service life, cost-effectiveness, reliable performance and the finer finish. We are supported by trustworthy vendors, which make these fountains at worldwide industry standards that meet on varied necessities of our precious customer’s. With the help of our experts, we choose the vendors on the basis of their market reputation and business knowledge.